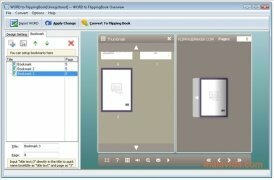 The creation of eBooks, or any other kind of document is becoming a very good alternative in comparison with physical media, and each day there are more and more applications that allow you to generate this kind of documents, gaining more realism as time goes by, with the digitization of books in mind. 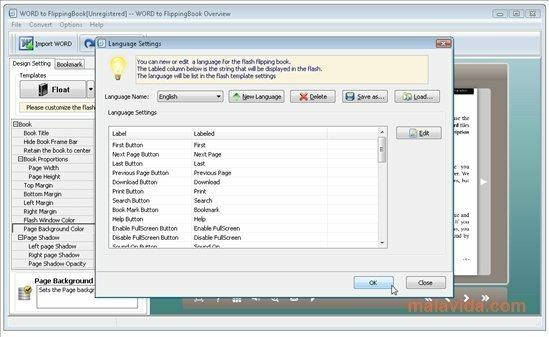 Word to FlippingBook is a tool capable of converting any Word document into a digital book. It has been developed not only to create books, but also catalogs and digital magazines. To do so, you won't require any special skills. 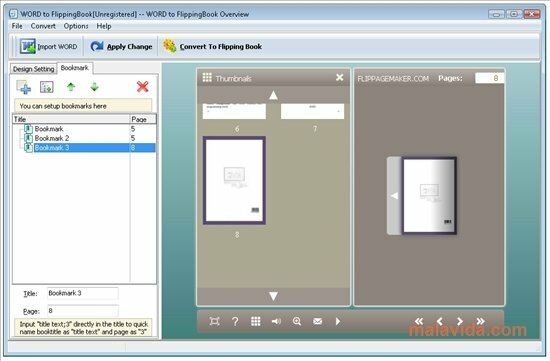 Word to FlippingBook will import the Office document and automatically transform it into a digital publication. These new documents will be visually appealing. They'll include effects when you turn pages, offering the sensation of flicking through a real book. Furthermore, it allows you to perform searches in the text or to protect your file by means of a password. 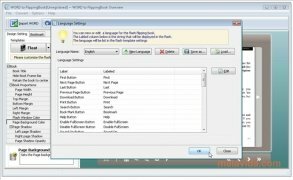 Another option it has to offer is the possibility to use the themes included to create your own. 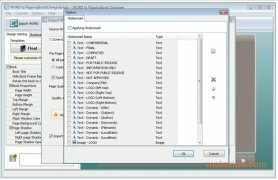 Support for the batch conversion of files. 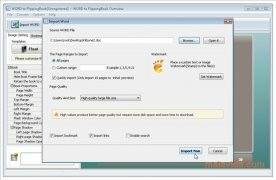 Four output formats: HTML, EXE, ZIP and direct burning to CD. Publications compatible with mobile devices. 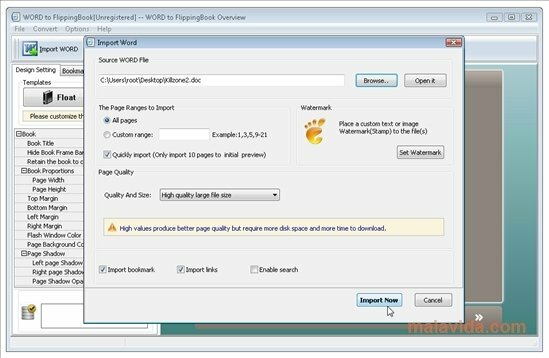 Create your own digital documents, download Word to FlippingBook. In a few minutes you'll easily be able to transform any Word document into an intuitive digital publication. This download requires that you have the latest version of Flash Player installed. 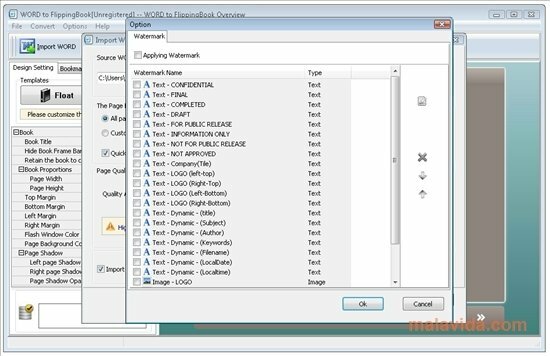 The trial version adds a watermark to the documents you create.